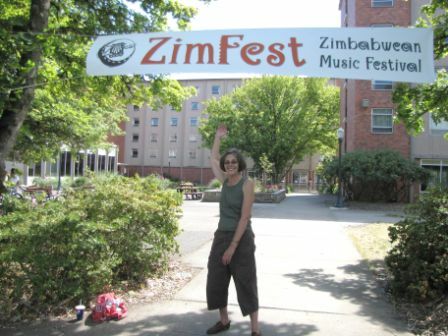 The Zimfest Association Board and I recently made the announcement that the 2015 Zimbabwean Music Festival will be held at Western Oregon University in Monmouth OR, August 13-16, 2015. I am happy to say that the Tech Committee has been working hard to improve the website and online registration system; we are targeting mid-January for online applications to open on the festival website at https://2015.zimfest.org. There is much to do before that date, and I have been recruiting team members to work on the Zimfest Organizing Committee for the past month. It really does take a village—we are in desperate need of people who can give up some time and energy to make the next Zimfest a great one! 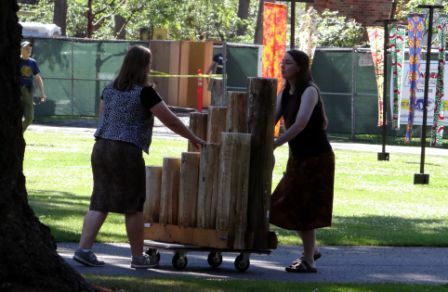 Helping out with the annual festival is a great way to give back for all the joy and enrichment you have experienced through this wonderful music. If you have the time and commitment, volunteer for the core organizing committee, members of which meet regularly via skype and take responsibility for major areas of the festival: Teacher and Workshop Scheduling, Concert planning and production, Marketplace and Vendors Coordination, Volunteer Coordinator. If you have small chunks of time, there are many other tasks that you can do leading up to (as well as at) the festival: publicity and marketing; festival guide article and ad solicitation, proofreading, editing and production; website content proofing and updating; T-shirt production and sales; airport pickups/drop-offs. If you are a group that would like to work on a project together, I envision several opportunities: work party to put together registration packets; festival decorations; festival signage; festival site cleanup crew.